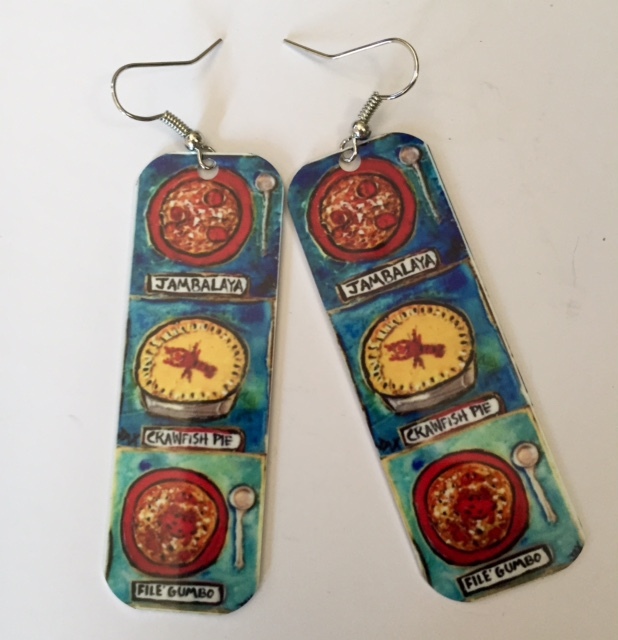 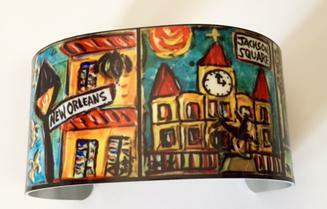 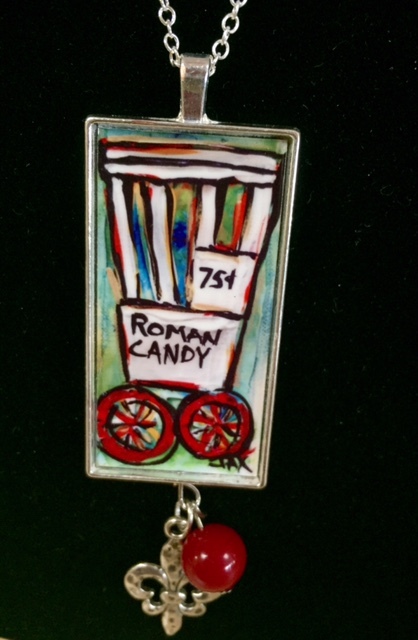 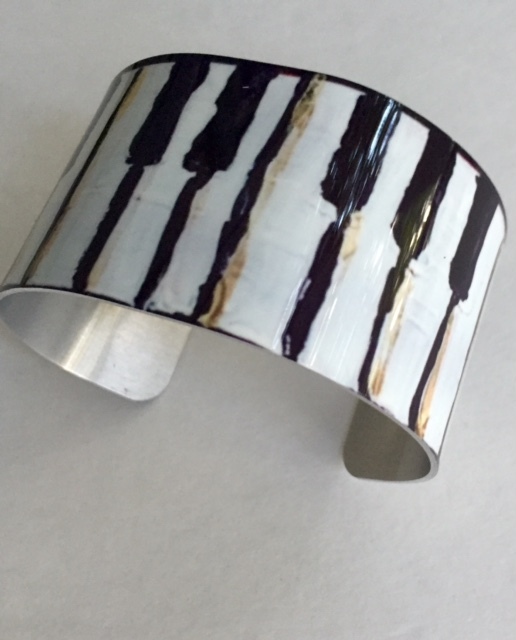 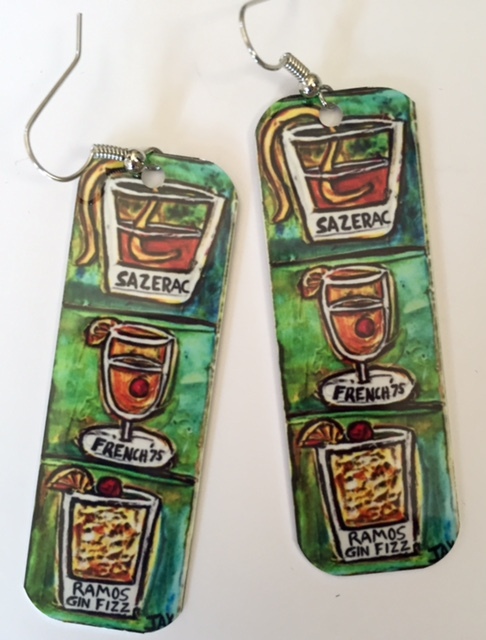 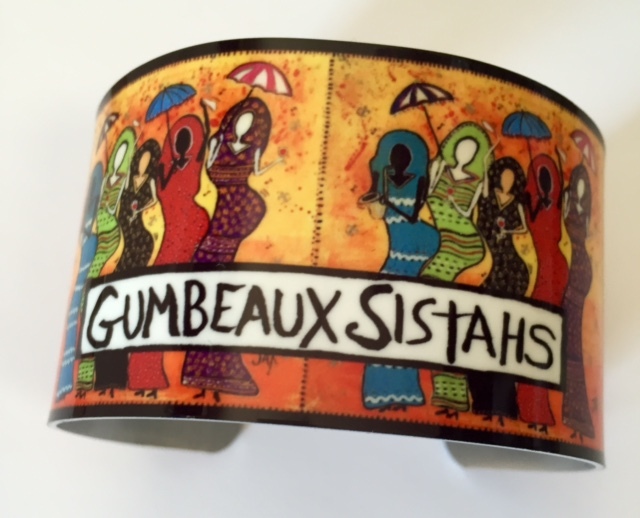 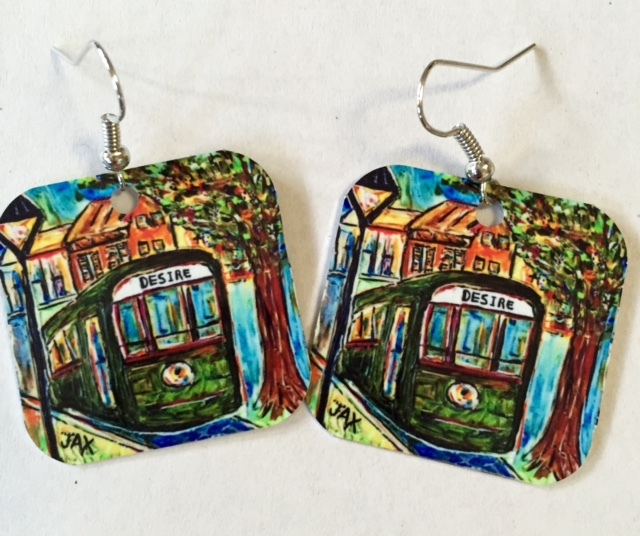 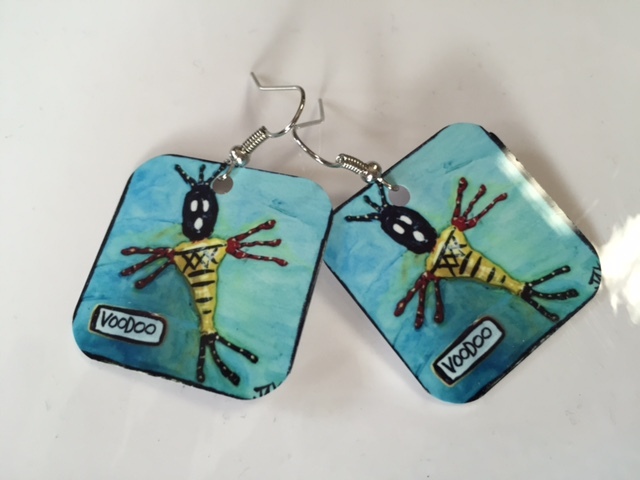 Jewelry made from images from Jax's original paintings make a fun statement and a great gift! 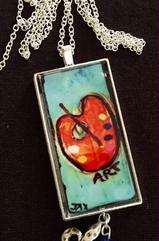 Unique Jax Pendant Necklaces on 30" silver plated chain - Get ready for the compliments! 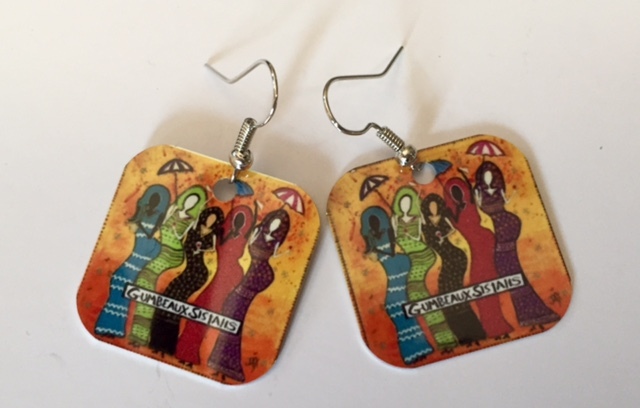 Jax's colorful, light-weight,metal-printed earrings will catch everyone's eyes!